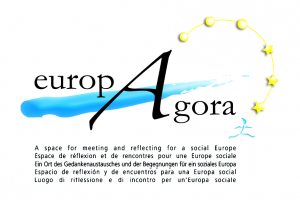 In 2005, after several years of maturation, the Association EuropAgora “a space for meeting and reflecting for a social Europe” was founded in Como ( Italy) by a group of trade unionists and ex-trade unionists from several European countries. In our globalized world, the founder members are convinced that only the development of social Europe, favouring a true Europe of people, is able to guarantee social cohesion and solidarity, as well as continue to be and a factor for peace. EuropAgora wishes to promote a European society inspired by fundamental values such as liberty, equality and solidarity. 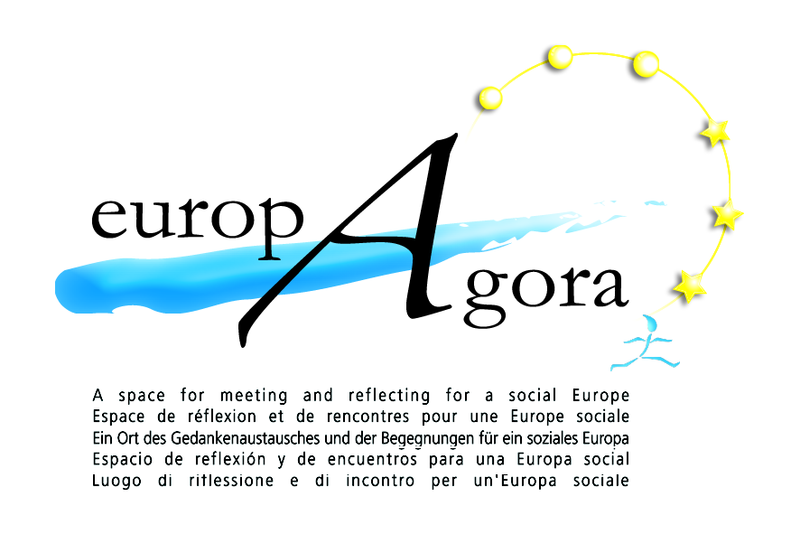 EuropAgora’ s vocation is to be a civic mouvement of prospective analysis and, in this way, a think-tank to contribute and act for the development of a European civil society. EuropAgora brings together, through individual membership, individuals with different sensitivities and experiences. Group membership does not apply. The Association wishes to be a network of stakeholders acting for a real European citizenship. Any person who shares the aims of the Association may become member of EuropAgora. debates on common issues in order to share diagnosis and develop prospective synergies. EuropAgora may deal with society and civilisation issues – for example, from ethics in responsibility and solidarity to the impact of new technologies -, and generally speaking with everything that may contribute to bringing Europeans closer together and to the development of social Europe. EuropAgora is an independent Association, strictly financing its activities through members contributions and legal sources of finance. It is independent from any political party. Obviously, the Association does not have the aim to act in place of the essential national or european trade-unions. EuropAgora wishes to contribute to set in motion a Europe of citizens and a social Europr, with a special focus on fighting social exclusion. The Association will support all national or European actions with similar aims. In addition, the Association has the aim to inform the citizens. EuropAgora has the ambition to mobilize citizens on the options for social change to create, in Europe, a stronger, fairer and more tolerant society in a more united world.